This morning I logged on to do my monthly check of our website analytics. As I settled in with my coffee to peruse our latest numbers, search hits and demographics, I stumbled upon an interesting little finding. 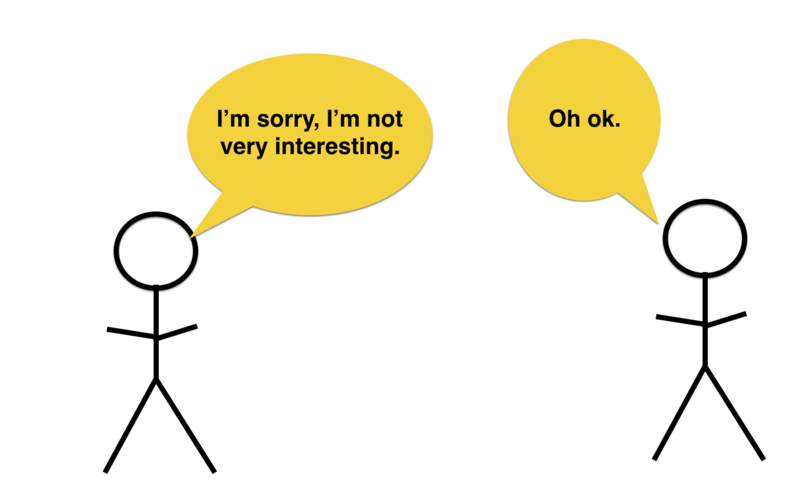 But, I almost never hear ‘I want to be more interesting’—at least not in person. Interesting it seems is a secret wish, just reserved for search engines. Well, worry no more! 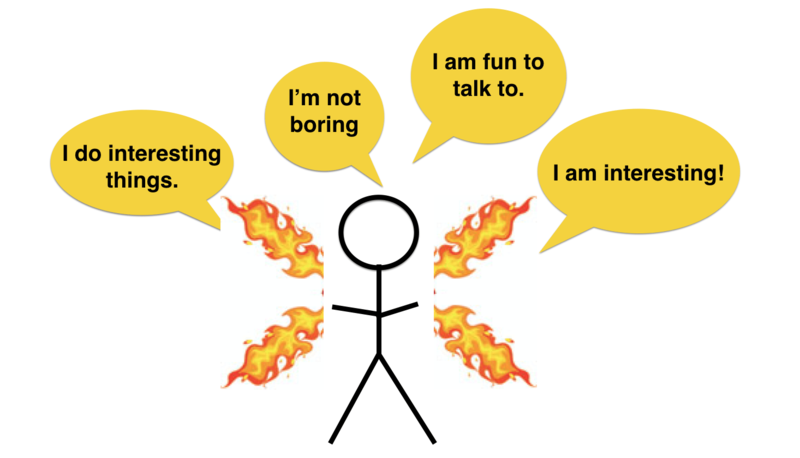 A Crisis of Interesting happens when you begin doubting yourself, your likability and what people think of you. Your fear of being uninteresting makes you uninteresting. 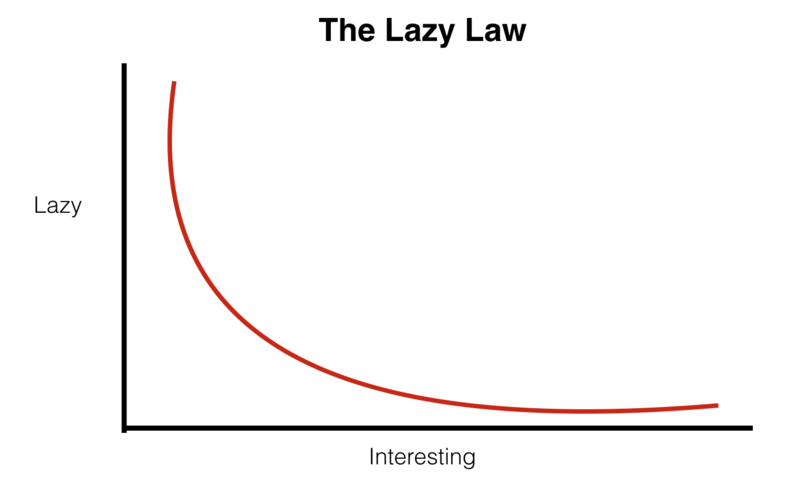 The lazier you are, the less interesting you will be. The less lazy you are, the more interesting you will be. They don’t do interesting things. They don’t think interesting thoughts. They expect you to do all the talking. They want to be entertained by the people around them. Here’s how you can fight the lazy and bring on the interesting. Don’t stick with the default settings. Don’t do what everyone else is doing. Don’t watch what everyone else is watching. If you want to be interesting, you have to do interesting things. Create a bucket list and pledge to do one activity every month. Ask someone about the weirdest thing they have ever eaten. Ask someone what’s on their bucket list and if you can help them accomplish any of it. Ask someone about the movie that most changed their life. 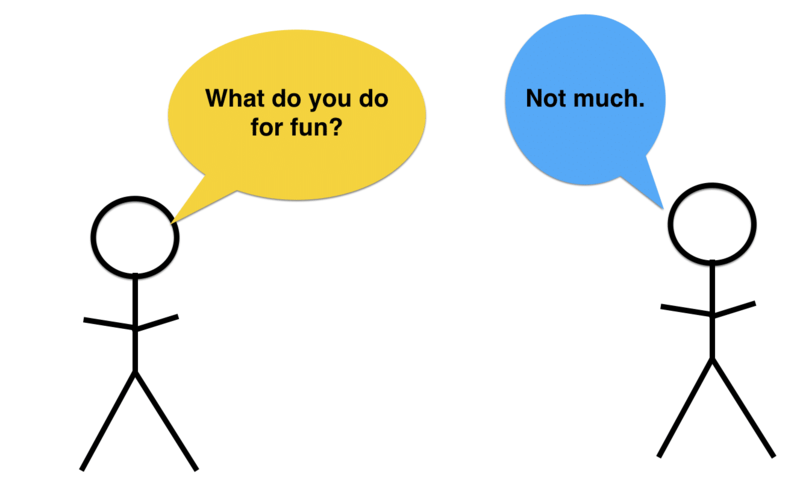 Ask someone about a new skill they are learning. 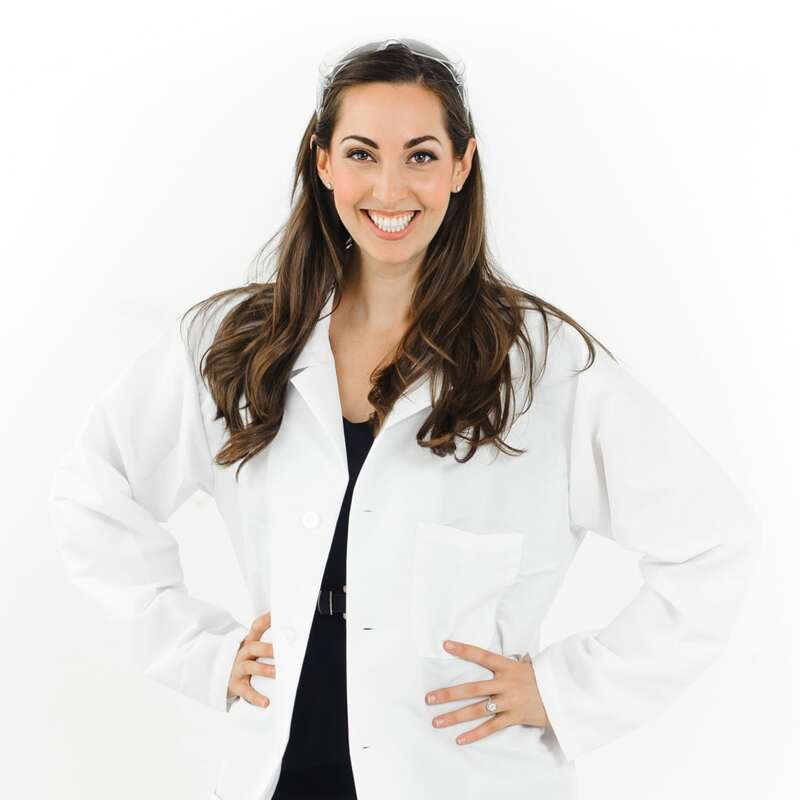 Ask someone about their personal passion project. 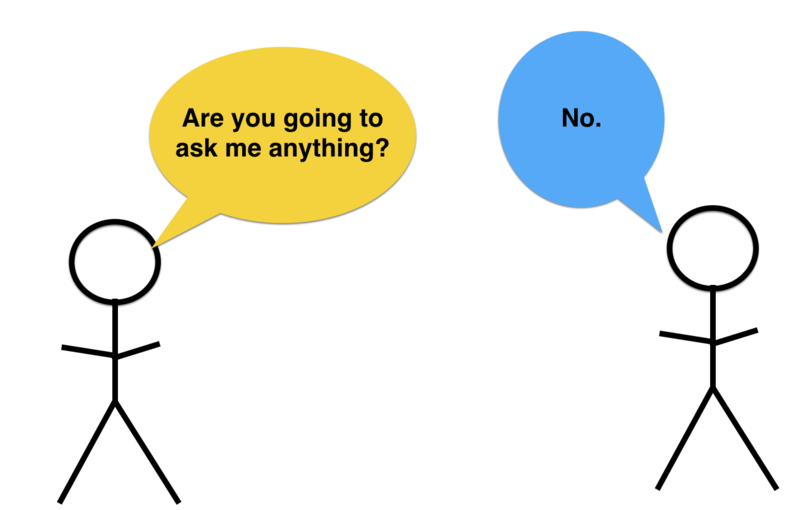 Ask someone what their New Year’s Resolutions were and if they accomplished them. We consume all day long. We consume food and drink, we consume media, we consume information. What you consume makes up who you are. They get updates from friends from their social media feeds instead of talking to them. They eat fake food from vending machines or freezers. They consume media and don’t question the source. They read from sources that already confirm their beliefs. They only watch blockbuster movies. They only read best sellers. Yes, it’s easier to stick with the default. It’s easier to eat what’s given to you. It’s easier to read and watch what everyone else is reading and watching. But who said easy was fun? It certainly isn’t interesting. Go to the library (yes, really) and ask the librarian for book recommendations. Ask your role model for a movie that changed his or her life and go watch it. Read a news source that is known for being the opposite of your political views and see what you learn. Find a new favorite news columnist. Read books that stimulate fascinating conversations. Decide to become an interesting detective. 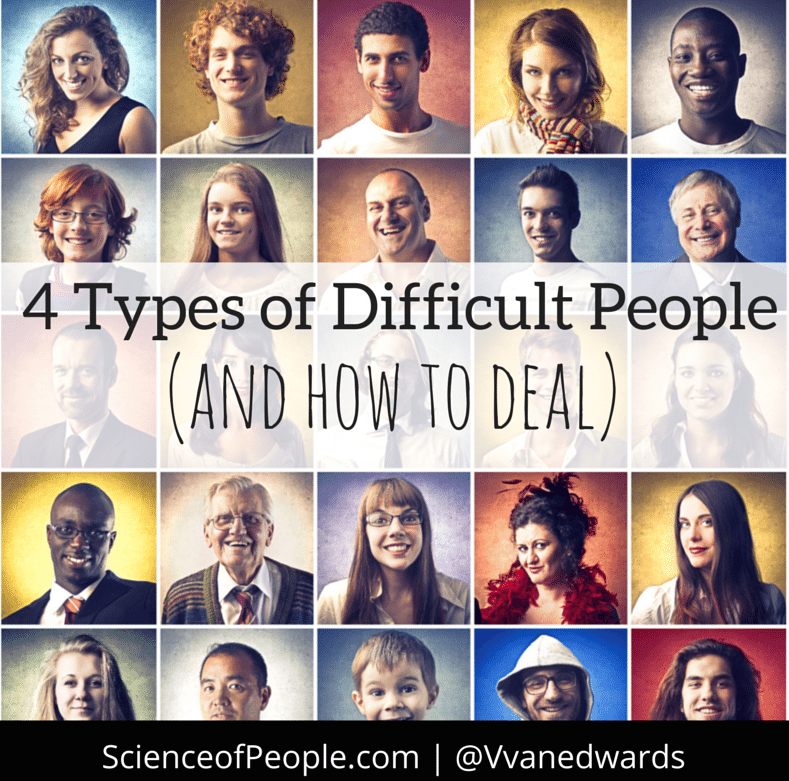 Decide that you are going to uncover every interesting tidbit about every person you meet. If you expect people to be interesting, they often rise to your expectations. 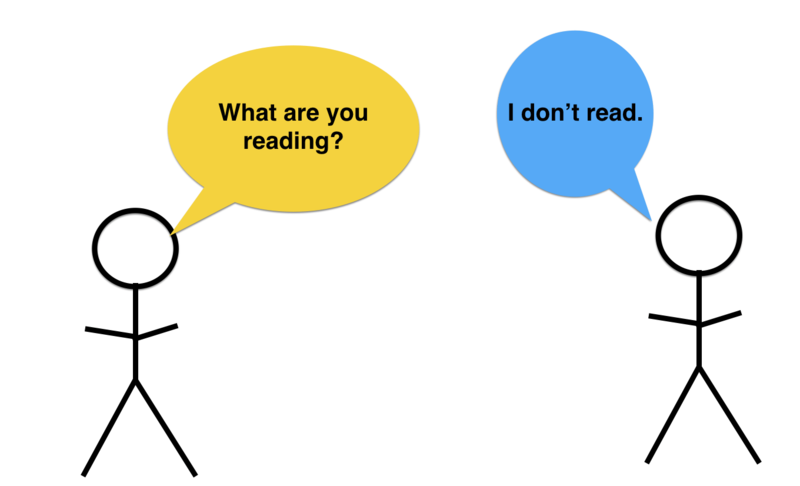 Who is the most well-read person you know? Who is the most well-traveled person you know? Who is the strangest person you know? Thought of someone for each prompt? Good! Now go hang out with them. 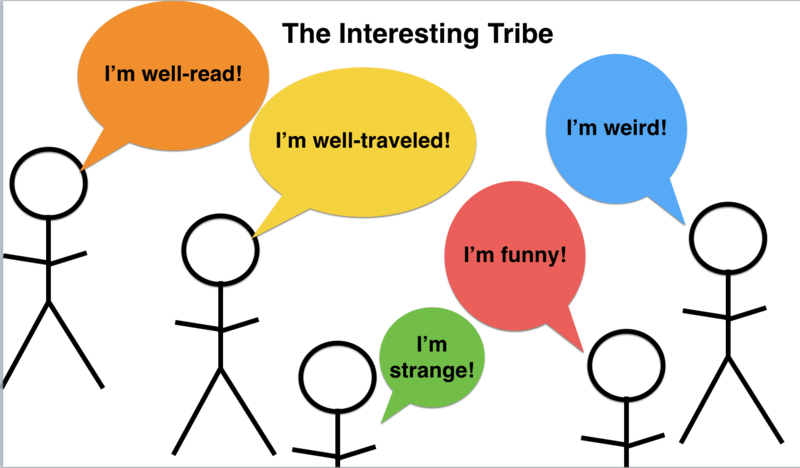 They are your interesting tribe. 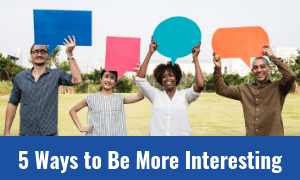 Even doing one of the things in this blog post will help you be more interesting. Being interesting is about living a life that’s worth talking about. Bottom Line: If you want to be interesting, put some work into it! Remember, laziness is the enemy of interesting. 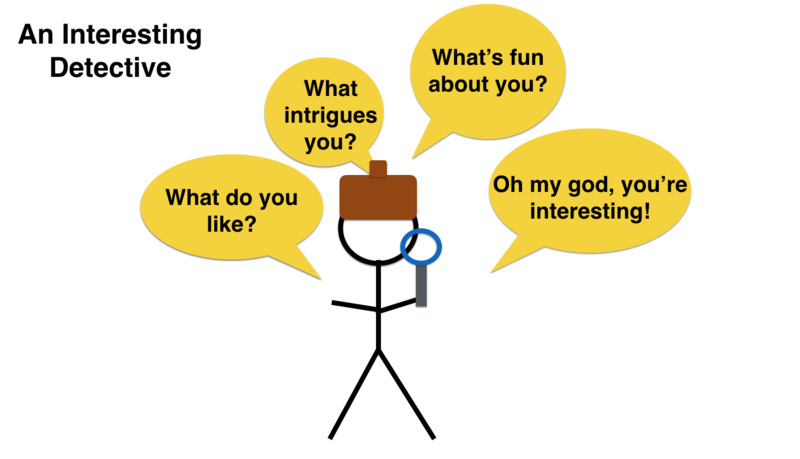 You are interesting! Now go get it!